More thrills and heart-pounding moments are in store when the popular reality competition series American Ninja Warrior returns this May on AXN. In the latest season, competitors push their fighting forms to the limit as they take on the world’s most challenging obstacle courses - including 28 new obstacles - in the qualifying rounds held in Los Angeles, Atlanta, Indianapolis, Oklahoma City, and Philadelphia. Retaining the same format, all competitors must finish the course or be in the top 30 in the qualifying stages to enter the city finals. As in the past, the top competitors advance to the national finals in Las Vegas, where the grueling Mt. Midoriyama will be the final course of the competition. This season, a total of 500 competitors attempt to become only the second American Ninja Warrior champion, after 33-year-old busboy-turned-professional rock climber Isaac Caldiero made history and was crowned the first ever winner in Season 7, taking home the $1 million grand prize. Hosts Matt Iseman and Akbar Gbaja-Biamila return for their seventh and fourth seasons, respectively, alongside sideline reporter Kristine Leahy who returns for her second season. 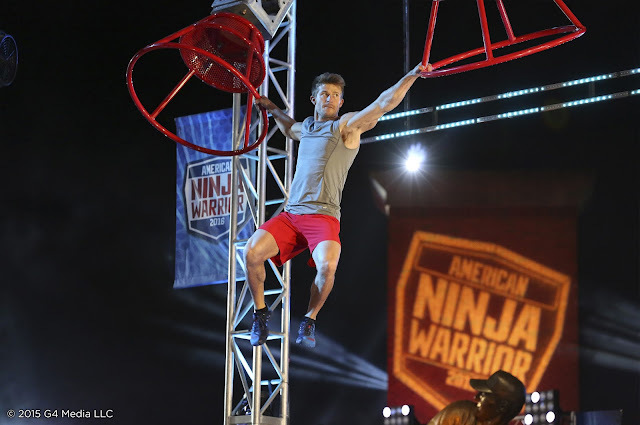 American Ninja Warrior Season 8 premieres on May 15 and airs from Monday to Friday at 7:05pm.